Tommy Hill, Cal Crutchlow and Leon Camier. 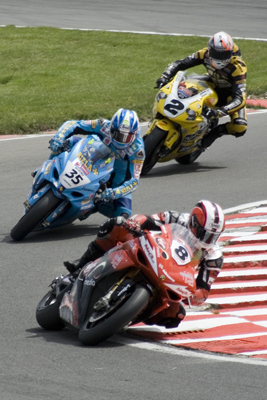 Tommy Hill infront with Cal Crutchlow and Leon Camier following. Snetterton British Superbikes, May 2007.